Here’s something special to try for your Christmas tree. Just the sort of thing that could turn into a family heirloom for many future Christmases! 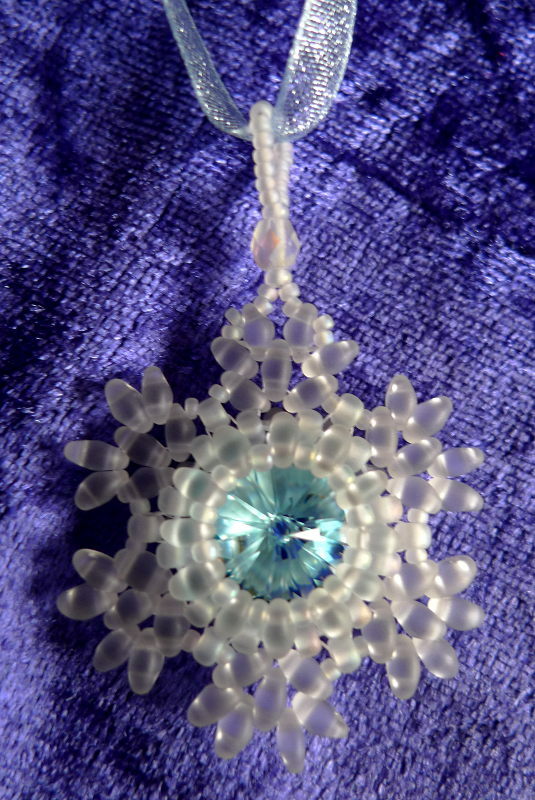 Look out for the instructions for my snowflake pendant in the new issue of the Beadworkers’ Guild Journal! I used twin beads and seed beads to bezel the aqua rivoli, then more twin beads to make the points of the snowflake. You could use it for a Christmas decoration, or make it without the hanging loop for a brooch. It works up very quickly.